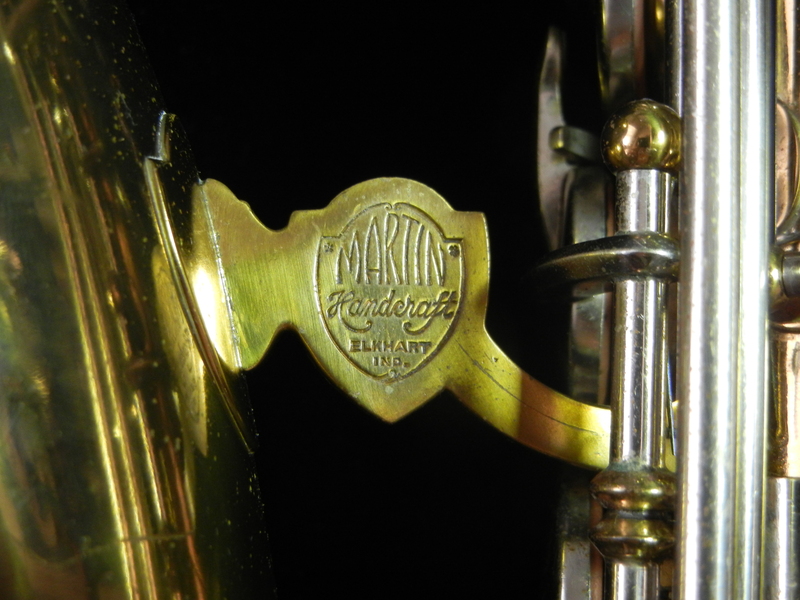 This is an all-original survivor, a rarity among Martins from this period whose notoriously delicate lacquer has survived nearly completely intact after 74 years. 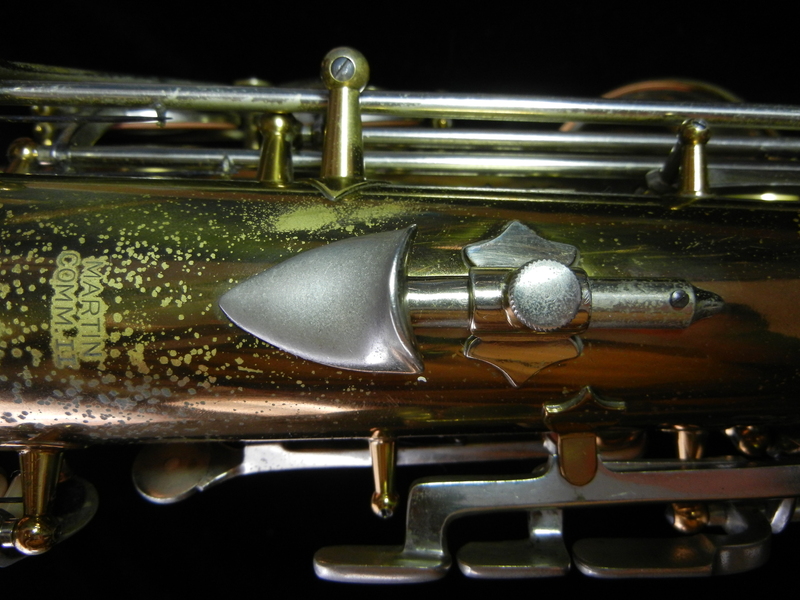 Most often when you see nickel keywork on a lacquered body, you think student intstrument. 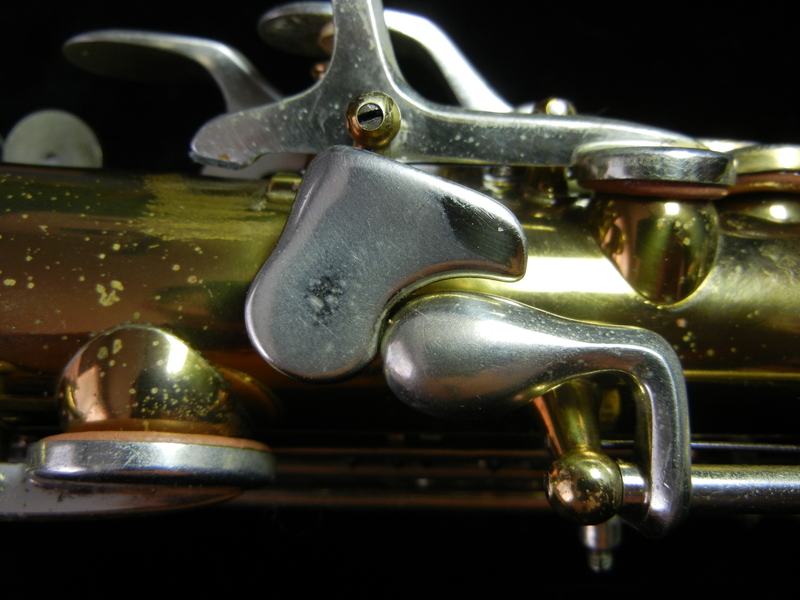 But it was not always so- indeed the nickel (or sometimes plated silver) keywork against lacquer was a premium option in the first half of the 20th century and it was only later that it was co-opted (most likely for nickel’s durability) for student instruments such as the original Bundy, the King Cleveland, and so forth (though now days these instruments are more like intermediate horns compared to what a modern student instrument is). 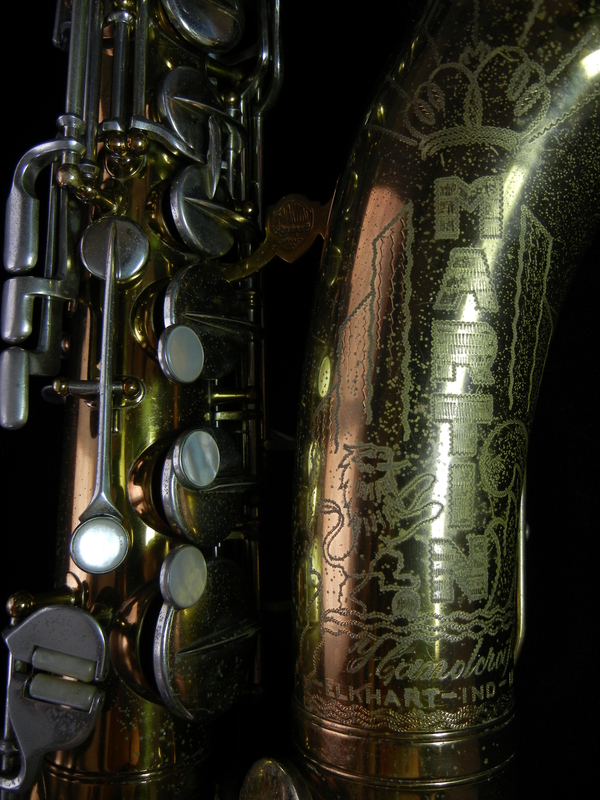 So it takes a saxophone of true beauty to make us see past this stereotype and re-assess what we think we feel about this particular finish combination, and the Martin Handcraft Committee II is just such a horn. 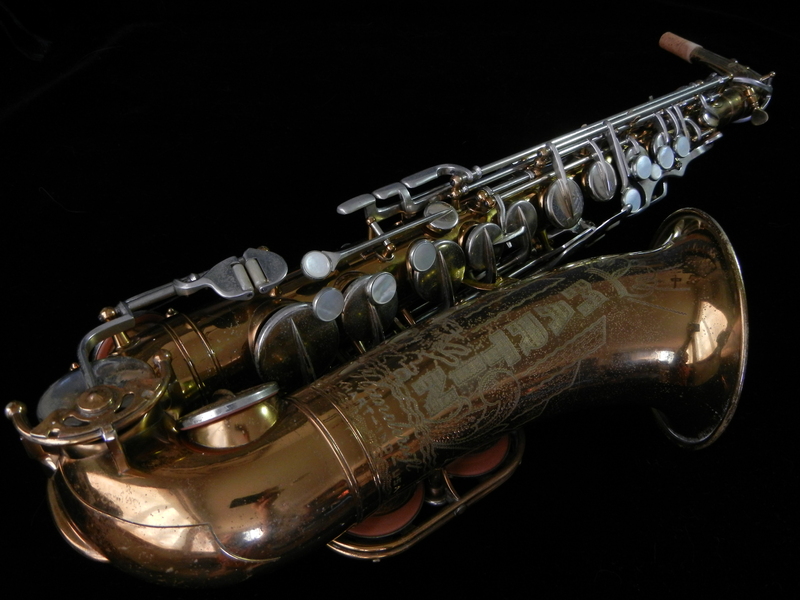 Beautiful and refined lines on this saxophone, enhanced with stylistic engraving and art-deco keyguards, are complemented by the dark honey-brown color of the aged nitrocellulose lacquer. 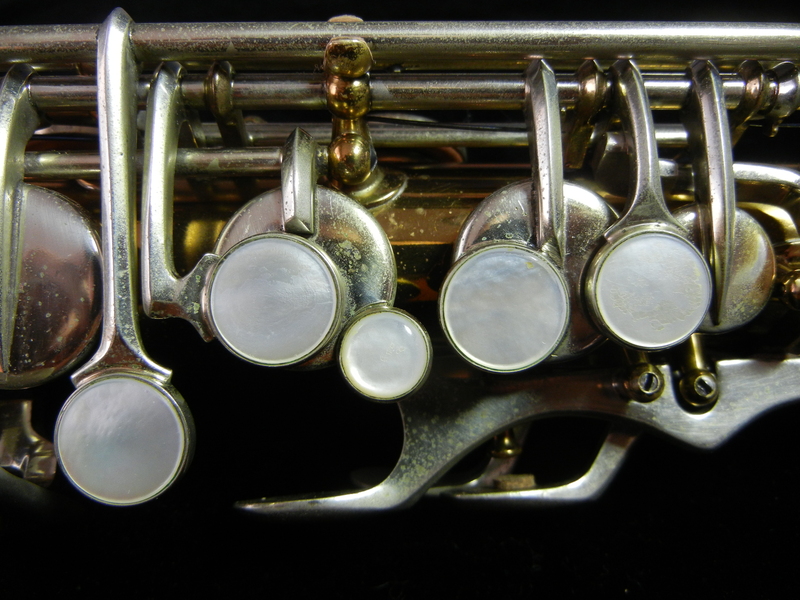 I overhauled this instrument with domed metal resonators with moderate coverage, and I was very surprised by what came out of it. I expected bold, brash, and brassy but got smooth, dark, and classy. I was prepared for a night out at a burlesque club but I got a walk in a snowy wood. It has a beautiful, controlled sound- it makes me want to play bittersweet songs of longing or even classical. 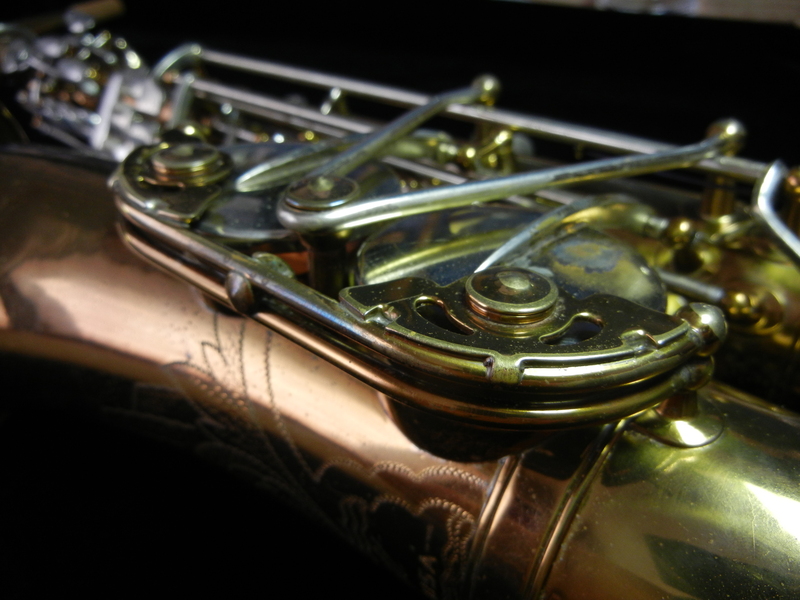 Intonation is very good and ergonomics are just fine for me.